If you are a Facebook fan and use Picasa, the famous photo viewing and managing application from Google, then there’s a good news for you. 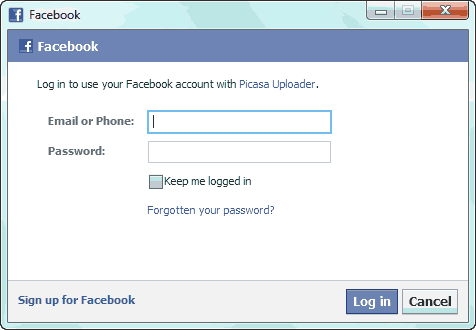 You can upload photos from Picasa to Facebook without even opening your browser. 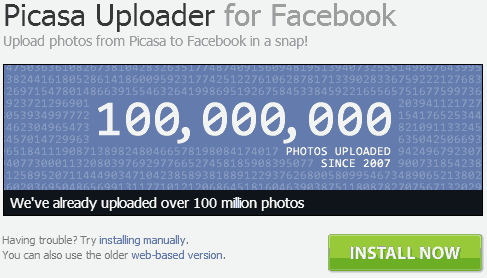 You need to install a small tool that adds the “upload to Facebook” button in the Picasa application. Visit the official page on Facebook and click the big green button that says “INSTALL NOW”. The app requires Picasa version 2.5 or later and Adobe AIR version 2.6 or later. 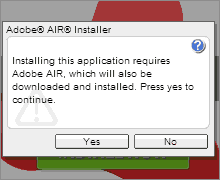 If you don’t have Adobe AIR installed then don’t worry, it will automatically install it for you. Grant all the permissions it asks for and at last it will ask you to configure the buttons. It will display a list of available buttons which can be added to the bottom of the Picasa app. Select the Facebook button and add it to a place convenient to you. Now whenever you want to upload photos to Facebook from your Picasa application, select all your photos and press the Facebook button at the bottom of Picasa. When you press the Facebook button, the application will ask you for your Facebook login details. Don’t worry, you don’t need to type you credentials again and again, they can be saved for future use. 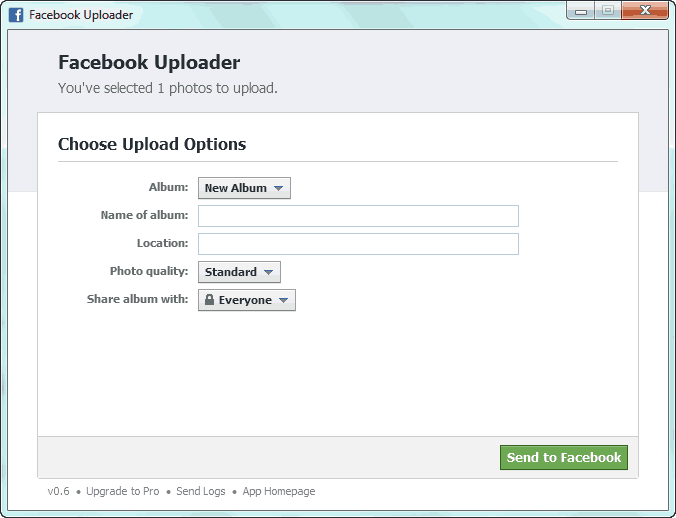 Finally, it asks you if you want to add the images to a new album or add it to any one of your old albums, the quality you want to upload your photos in, the album name if you want to add them to a new album and the location. NOTE Remember that the captions you added to the photos in Picasa will be automatically transferred to Facebook but your tags will not. I do not upload many images to Facebook, so I don’t use this feature much. But I am a big fan of Picasa and having this feature makes it more worthwhile.